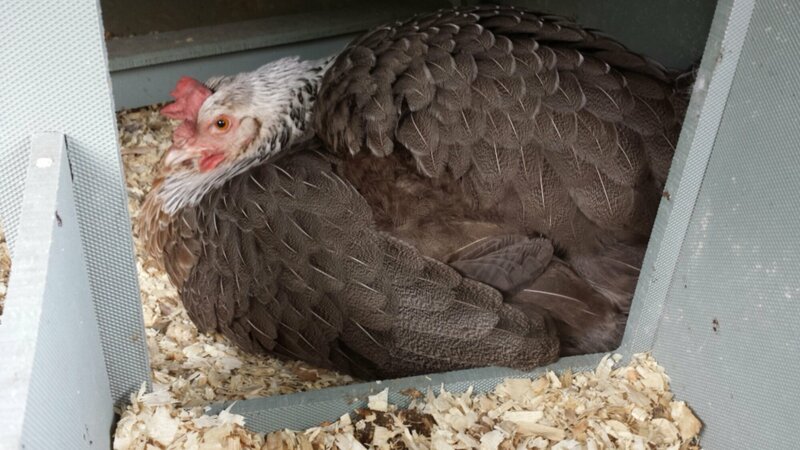 The first thing was to test her commitment by moving her away from the others, otherwise she will take the others’ eggs and you can’t tell which is which. 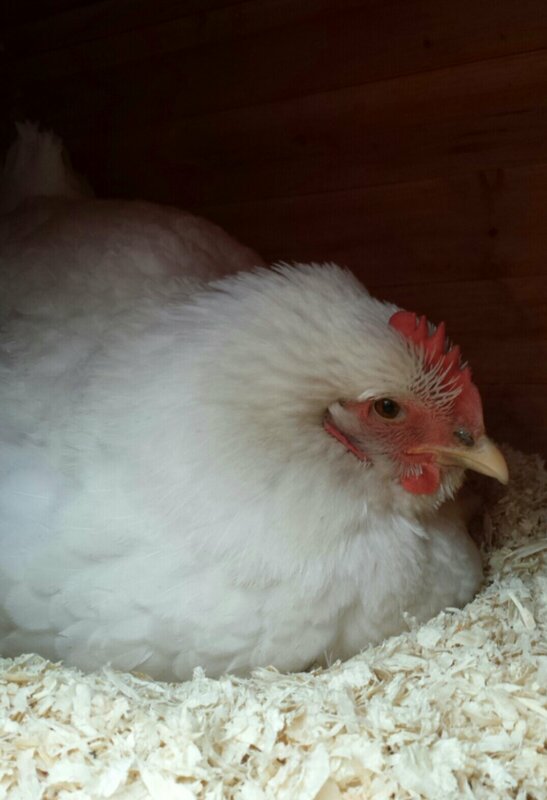 I put her in a special brooder house in the enclosure and Lou lent me a dummy plastic egg to put in the nest. Several days later her resolve was still clear. “But you don’t have any boy chickens!! !” This is true but I do have Jersey Giant eggs in the incy and she is a Jersey Giant! 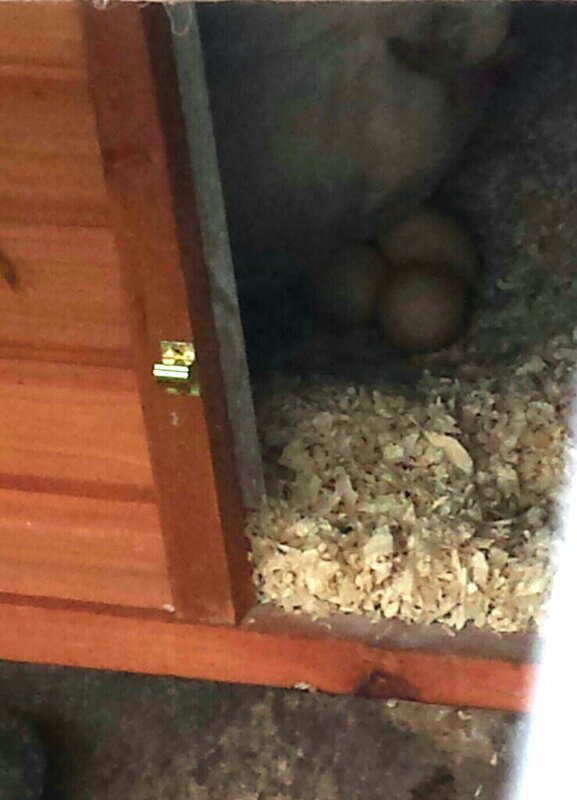 (A good broody hen will hatch not just chickens but ducklings, geese and more.) The JG eggs are due to hatch on Sunday and need to stop being turned three days before then. 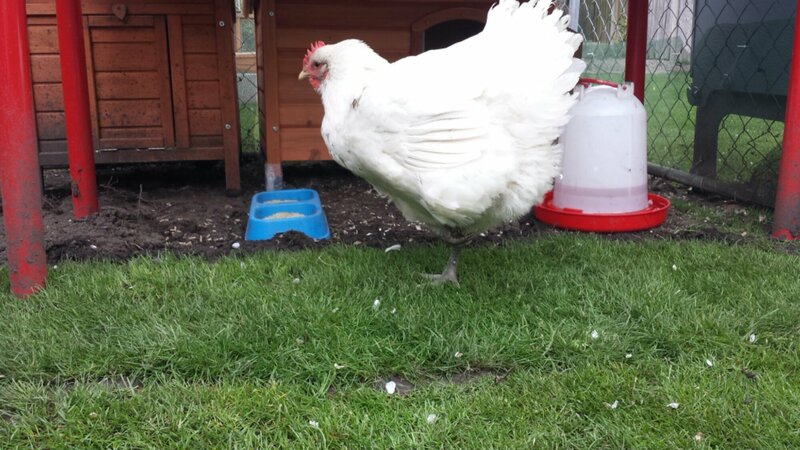 I waited til a couple of days before then as it is her first time and also as a large breed they can be a little clumsy and sometimes break the eggs. 2 nights ago I removed the dummy egg from underneath her and put 3 eggs under her. It was nervewracking. Sometimes they break them, sometimes they kick them out of the nest… but I’ve left her to it and was rewarded with a glimpse of the eggs this morning. …but after being in the enclosure overnight in a brooder box of her own she spent the day off the nest, strutting up and down and wanting to be out where the grass is greener, there are more treats and life is much more fun!…so I let her back out and she seems cured for now. Famous last words! !